I don’t sew often or well. But I do believe in heirlooms and making memories and building traditions. I do believe in fortifying faith. And so, sometimes I sew. 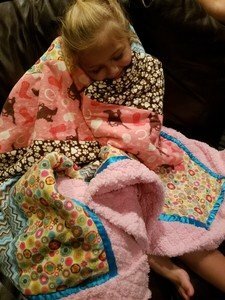 Specifically, I make my children a comforter to commemorate their baptism in The Church of Jesus Christ of Latter-day Saints and their confirmation, wherein they receive the gift of the Holy Ghost. This is an important landmark of spiritual progression, and a time I want them to always remember. Heirlooms and traditions help bookmark this point in time, preserving it as a treasured memory. 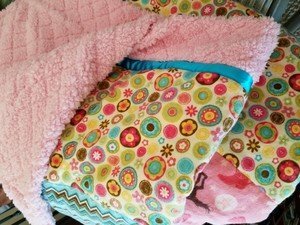 Each time my daughter cuddles up in her new heirloom comforter, I hope she’ll remember the special memories from this time. I hope she’ll know that, just as this comforter envelops her in warmth and security, she can always access the comfort and guidance of the Holy Ghost. And I hope she feels my love sewn in every stitch. What heirlooms and traditions are important in your family? 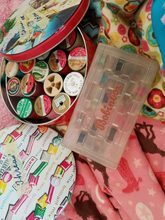 How do you make and keep memories? I’d love your thoughts; please share below! And if you liked this post, please share on Facebook.